Nija Charles, 21, is one of today’s most sought-after songwriters in music. 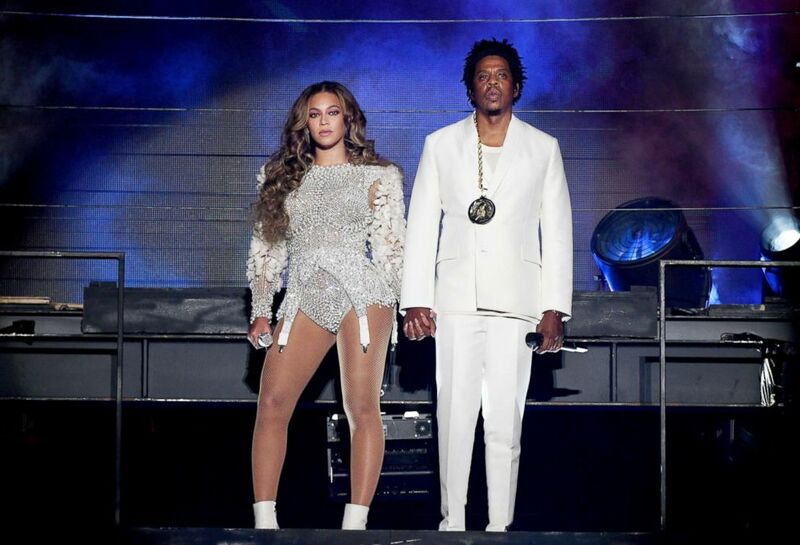 (Larry Busacca/Getty Images) Beyonce and JAY-Z perform onstage during the 'On The Run II' tour, Sept. 22, 2018, in Pasadena, Calif. But just a few years ago, Charles was just another fan in the crowd. Growing up in Union, New Jersey, she was born into music. Charles said her first introduction to making was music was at age 13 when she asked her mom for a mini keyboard because she wanted to produce. 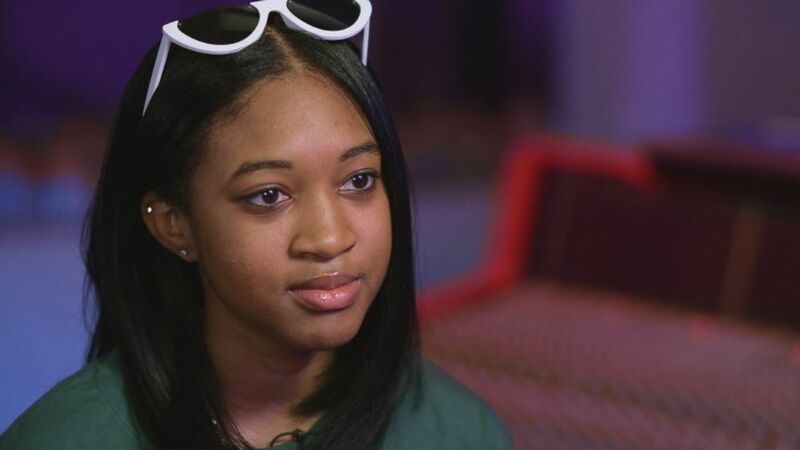 (ABC News) Singer-Songwriter Nija Charles has written songs for several artists including Cardi B., Jay-Z and Beyonce. “So she got it for me, and then, right then and there, I started banging on the keypad,” she recalled. At first, Nija focused on producing beats for songs rather than writing lyrics. Charles went on to study music at New York University, where she’d make beats and record hooks in her dorm room. “I was recording snippets on Instagram, and eventually, like, A&Rs and other producers started seeing it and I just built my built my network that way,” said Charles. After a debut feature on religious rapper Lecrae’s track “Lucked Up," Nija found herself flying across the country on weekends, juggling studio sessions and studying. “It was very hard. There were some classes I had definitely had to skip. But yeah, it was just time management and knowing that I had to hurry up [and] finish my homework before I got on the plane or do my homework on the plane and then go and write the songs during the weekend and come back and make sure I studied hard so I can finish out school that year,” she said. (Ethan Miller/Getty Images) Rapper Cardi B performs during the 2019 Adult Video News awards at The Joint inside the Hard Rock Hotel & Casino, Jan. 26, 2019, in Las Vegas. Charles eventually dropped out of NYU and now lives full time in Los Angeles, where she has her own apartment and in-home studio. 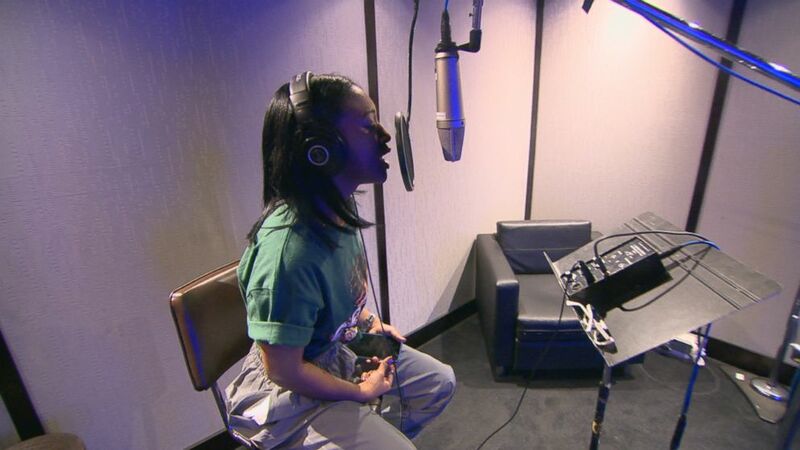 Her focus for 2019 is making hit songs. “Nightline” was in the studio with Charles as she worked on new music with Cardo, the producer behind Drake’s hit song “God’s Plan,” which was recently certified diamond. Cardo told “Nightline” it’s rare to find a talented songwriter like Charles in such a male-dominated industry. Cardo is just one of Charles’ many mentors, who encompass a vast array of genres, from singers to producers. During a break in the studio, Charles had a FaceTime call with artist Kehlani. Kehlani is featured on the song “Ring” by Cardi B, which Charles helped write. But Charles says working with Kehlani is a whirlwind. “I was crazy because literally the year before I went to one of her concerts. Me and my sister went all the way down to Baltimore to go watch her. And you know, I’m a big fan, so me being a fan and hearing her sing some of my lyrics was just, I loved it,” said Charles. (ABC News) Singer-songwriter Nija Charles is seen here during an interview for "Nightline." Charles even got to work with Jason Derulo on the official 2018 World Cup song. “I had actually went to his house, his studio house, to just work, period,” Charles recalled. Derulo asked if she wanted to work on the World Cup song with him, Charles said. “So we started working on production, and then after that, I just hopped in the booth and started doing melodies, and we would go back and forth on what to say and the themes. And you know, it was just a great partnership,” said Charles. Working with top artist in the music industry as a young woman does come with its own challenges, Charles admitted. “Every time I'm in a room with full of males, I have something to prove because I feel like as a woman we don't get as much respect and we're also not looked at as the person who's going to be writing, you know, co-writing with them. So every time I come in, I have to make sure they know that I'm on the same level as you guys,” said Charles. 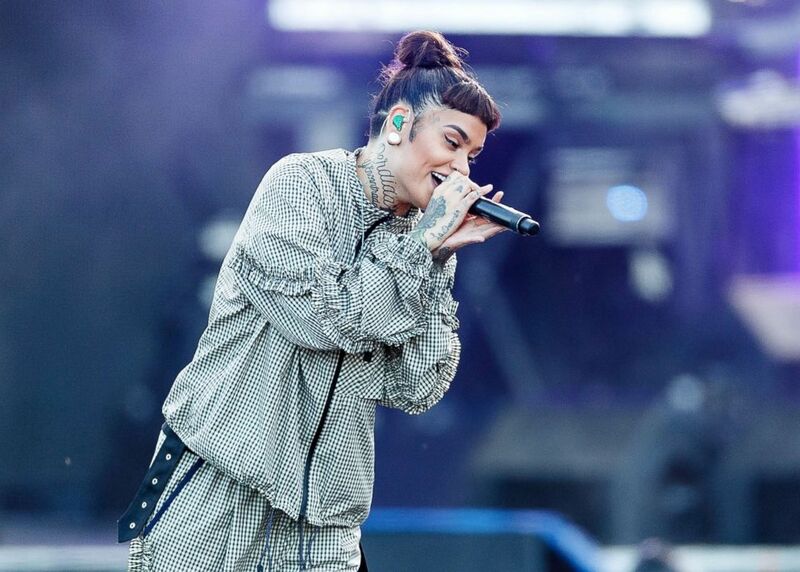 (Andrew Chin/Getty Images, FILE) Singer-songwriter Kehlani performs on stage during 'In The Park' at Holland Park, July 7, 2018, in Surrey, Canada. Charles hopes to pursue her solo music career next.